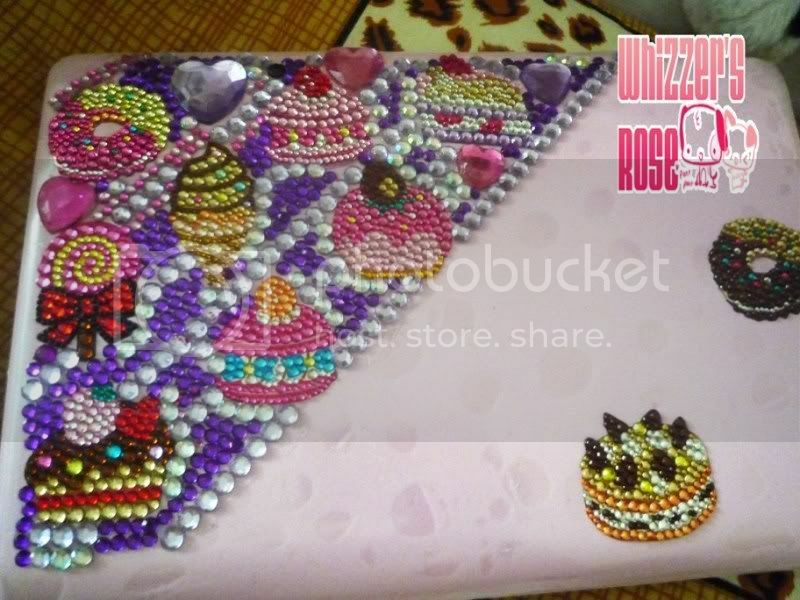 Since I have finished blinging my Samsung Star, I have turned into my Netbook as my next victim. I have shopped for my rhinestones in Hong Kong but I was totally wrong to buy them in different colors. Why? 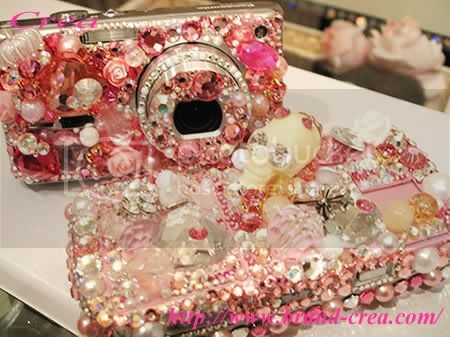 Because almost all of my stuff is in pink and when decodened in other colors looks tacky (my sole opinion) and most of all, you can't decoden or bling out a Netbook with just limited rhinestones at least from what I learned. but it kinda looked tacky. It seems like it doesn't match my netbook. Looks mor tie-dyed than Hime Gyaru-ish. 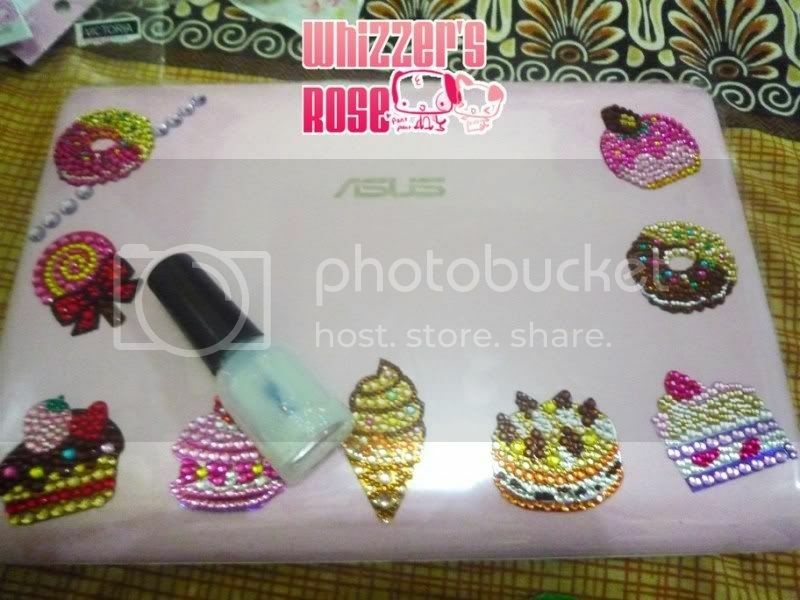 So last December, I bought a laptop transparent skin and some bejeweled stickers. 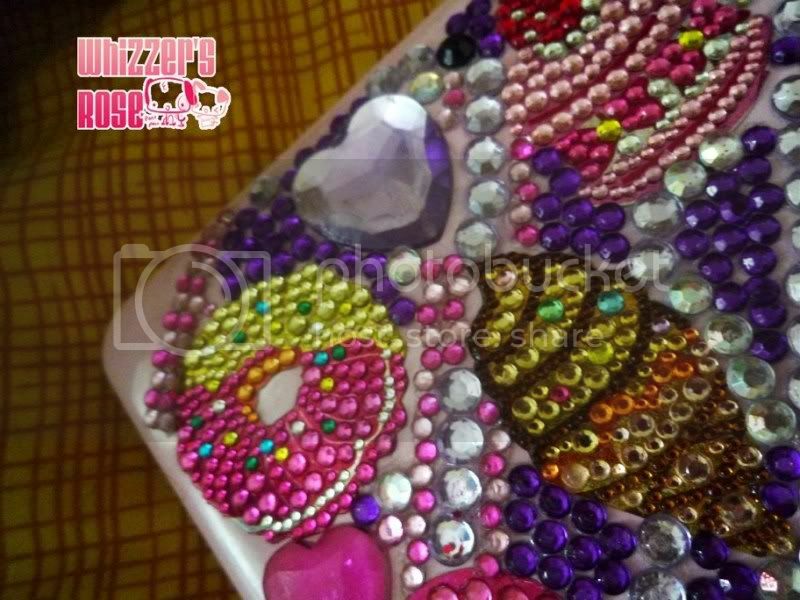 If you'd look at my decodened/blinged out phone, a muffin since under my estimate, I'd ran out of pink rhinestones by the time I do my netbook. So then I figured out to do my Netbook I had to buy a whole lot. I have gone through a lot of sewing and craft shops but none of them sells rhinestones. the surface of your gadget. I bought this one from strapya. So I stuck the transparent skin into my Netbook which is an epic fail because it had bubbles over it and I did try to get the bubbles off but it won't. I decided not to bother with it and started sticking stickers here and there and then finally when I'm 50% done, I felt like it's not what I wanted. Bubbles everywhere. After 50% of it is covered, I suddenly felt like what I did is not right. It looked messy for me. The bad thing is the plastic wasn't evenly cut on the sides. I was really frustrated to think that I used almost 70% of the rhinestones I bought from Hong Kong. I took everything off. 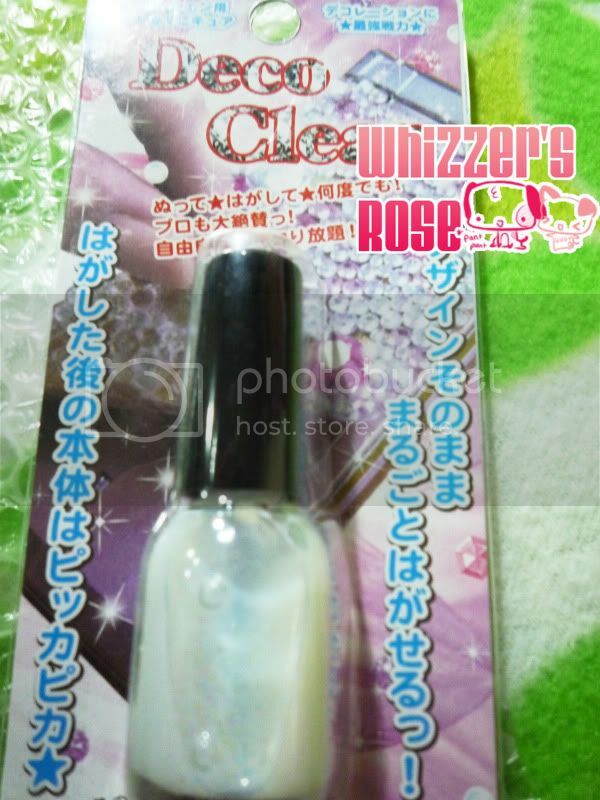 I didn't know that decoden was such a trial and error thing. I looked over my Samsung phone which I really love. Maybe it's not the sticker thing that really made it attractive. 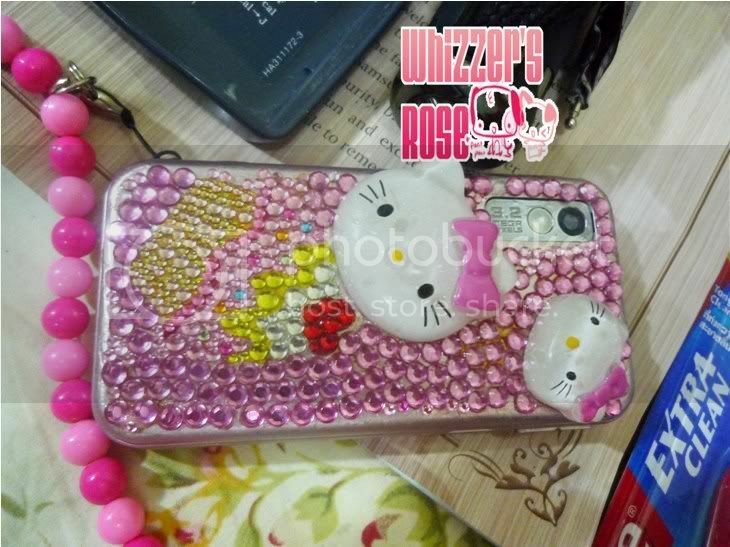 I realized it was the Hello Kitty Cabochon and the pink rhinestones. It's really funny how I got those cabochons from. I actually got them from a clip that I got as a door price from a party. it's just enough for me-not too flashy. So I went to our local Chinatown and horded all the Hello Kitty jewelry set that were intended for kids. I bought about 8 of it at PHP25 per set, that's half a US dollar each. I was already lining up on the counter when an old lady saw my purchases and loved them. She says it would be a good Christmas giveaway to children and she went back to the aisle and bought everything. Now, I don't know where I'm gonna buy those jewelry sets again when I need them because she bought them all. I guess I'm gonna raid the streets with all those Hello Kitty headbands that looks like a pin cushion which are very popular right now for kids. 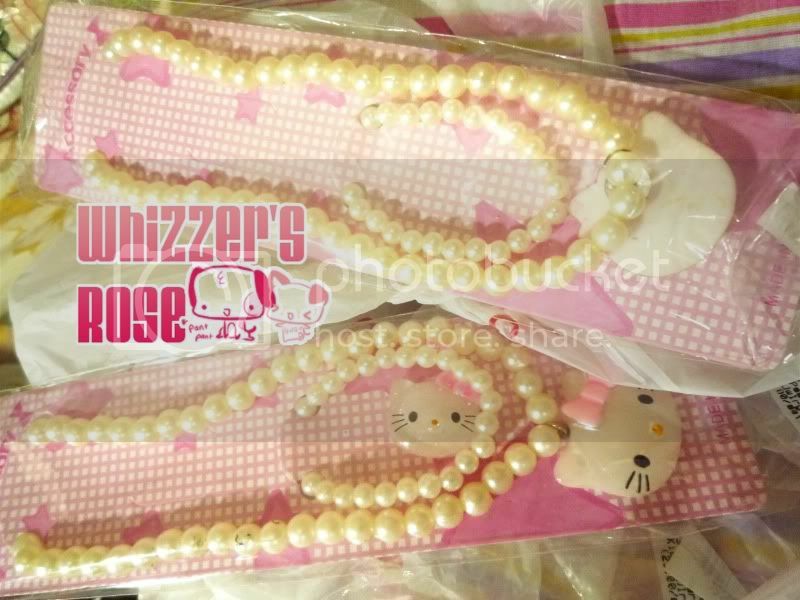 Fake Pearl Jewelry for kids. 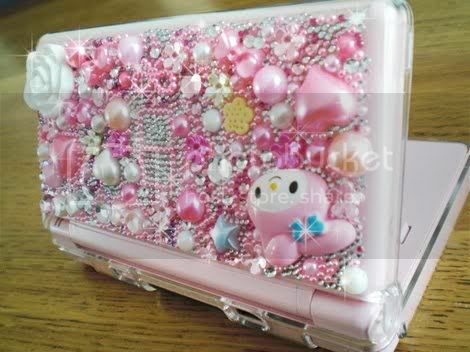 I got all the Hello Kitty off and stuck it into my gadget. so it was a struggle for me to keep them in place as the epoxy I use is still drying out. So I peel off this Hello Kitty Cabochon (trust me, it doesn't take a lot to peel it off from it's tiny circular metal plate). Clean the glue and stick it on. So I started sticking these on my netbook but it seems empty. I searched google for some inspiration. 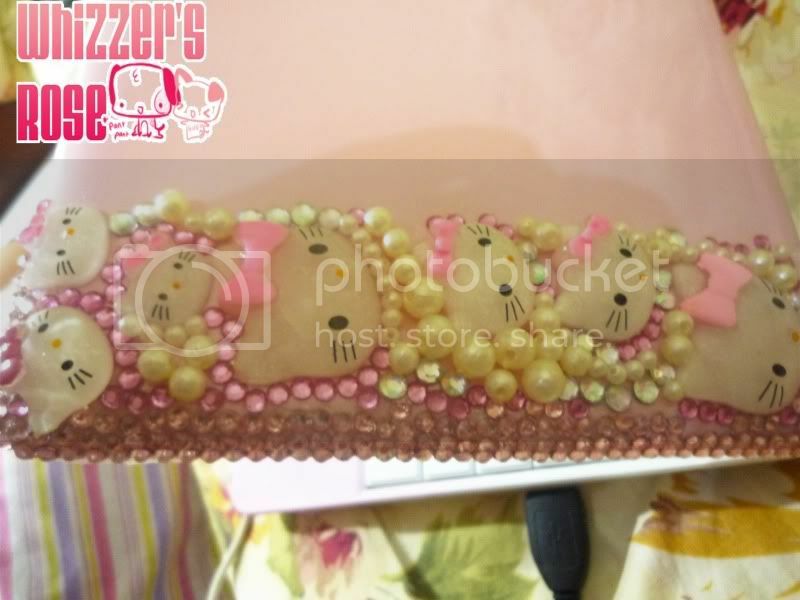 So I decided to actually use the pearls from the necklace but then I seriously ran out of those dark pink rhinestones. 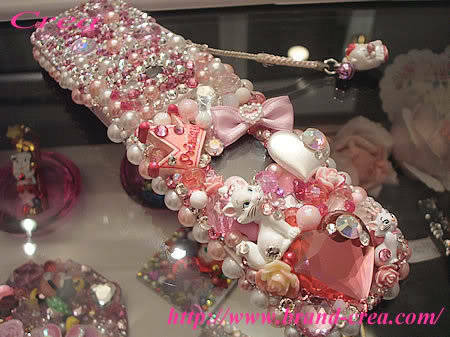 The rhinestones on the side are the ones I had shipped from Hong Kong recently. So it took me a week to find the best place to buy rhinestones. I find this site etsy. Most of the stuff I look are from people in the US and I looked for those who can supply from Hong Kong since it's closer and cheaper. 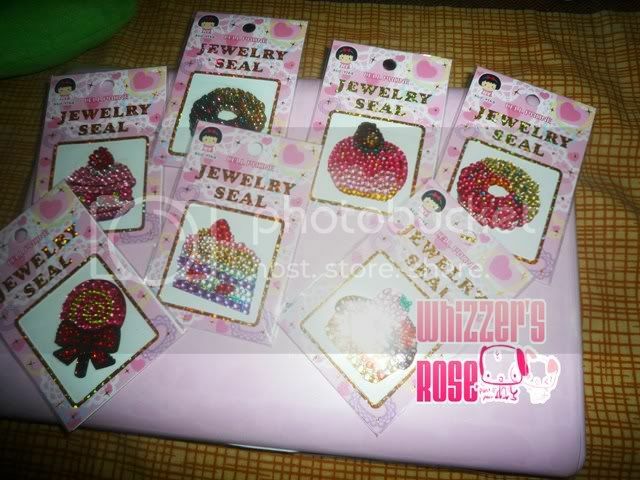 Finally, I found this seller, Blingers and she gave me discount because I bought 900 pieces. I paid with my credit card and it was shipped in five days, Now my netbook's nearly done. 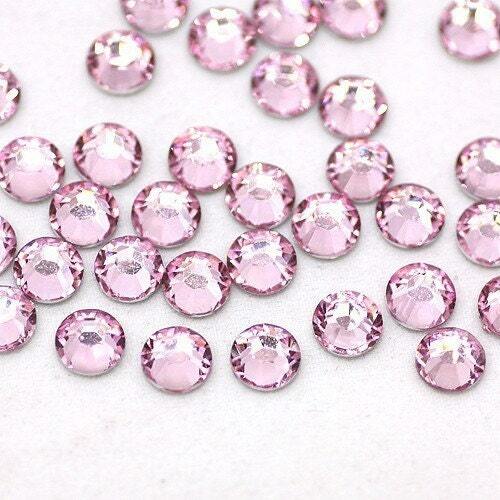 I just have to put on some tiny rhinestones which I bought from a local store. The only problem I might encounter now is, which item would I bling out next? Want more bling? 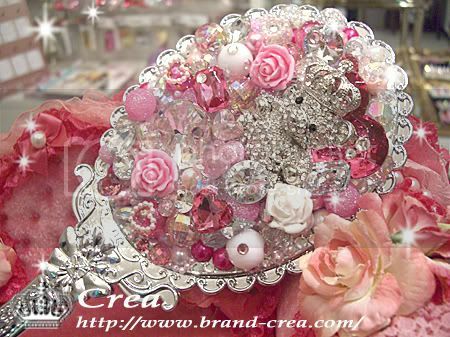 Here are some of the pictures of blinged out design for inspiration. I have collected these photos from the net, so I'm not the owner of these pictures. I just want to share. 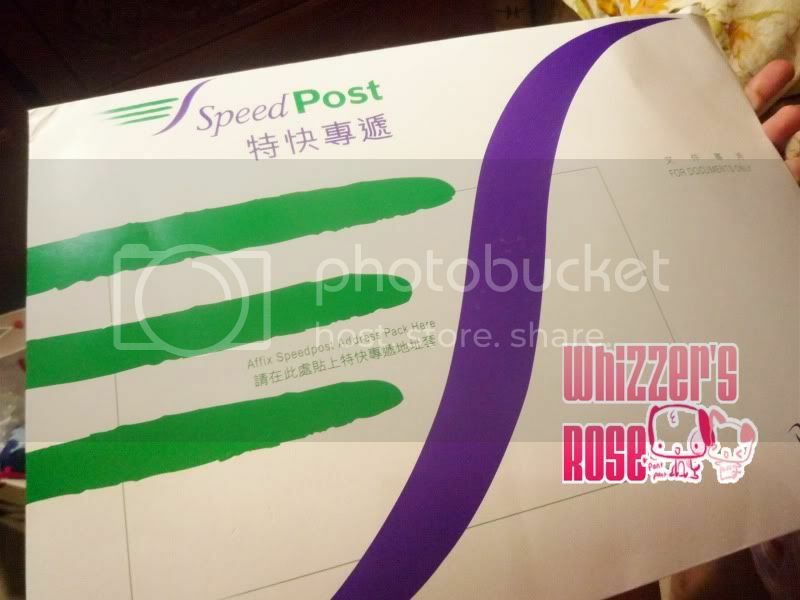 I'm sorry if I can't post the makers 'coz really, I just got them from google search. But if anyone would happen to drop by this blog and give me their name and proof, I'd gladly put your name and credit you. but this kit is just so expensive for me. I would however love to own one in the future. If anyone would look closely, it's the case that's actually decorated and not the laptop itself. I stuck mine directly through my laptop hoping the protective liquid is enough not to damage the surface.